Will and Summer meet online and strike up a friendship based on coincidence. Summer lives in Will's old hometown, Kettering, a small Tasmanian coastal community. Summer isn't telling the whole truth about herself, but figures it doesn't matter if they never see each other in person, right? When Will returns to Kettering, the two finally meet and Summer can no longer hide her secret – she is deaf. Can Summer and Will find a way to be friends in person even though they speak a completely different language? 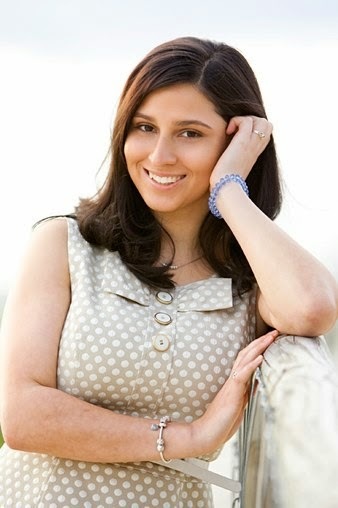 Talk Under Water is told through emails, letters, Facebook posts and the first-person narratives of both Will and Summer. It's an easy read, with straightforward writing. Summer's deafness is very well depicted, and the amount of knowledge by the author of sign language and Deaf culture is clear (Minor grammatical errors in Summer's writing, since English is her second language, was a great touch). It's the sort of novel I would have loved to have studied in the early years of high school - it's engaging, readable and there are so many interesting themes. As well as Summer's deafness, she's still grieving for her dad, and Will's dealing with family breakdown, too. 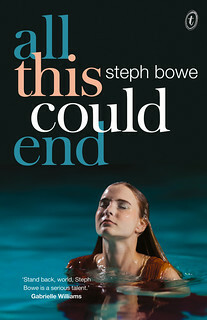 It's a very accessible story, and includes a lot of information about deafness and sign language without ever being preachy or over-the-top; it's very much part of the narrative, and the story doesn't suffer for its inclusion. The dual narrative allows the reader to empathise and connect with both central characters, and the secondary characters are well-developed and relateable, too - I really felt for Will's dad and Summer's mum, who have both lost their partners. Will's old best friend Cully is ignorant about deafness, and continues to be even once he meets Summer, and I think the difficulties of Will's friendship with Cully is something a lot of teenaged readers will be able to relate to - at least those that have experienced the shift in friendships as you get older as people change and grow apart I was a bit concerned about how much information Will and Summer shared about their respective lives, where they lived, et cetera when they initially communicated online - even though I as the reader knew they were both teenagers, from their perspective the other could easily have been a middle-aged weirdo. My worries about stranger danger were probably my greatest concern with the novel (I don't want anything bad happening to the characters, gosh!). 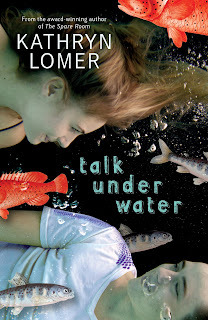 Talk Under Water is an enjoyable read, where the stakes aren't ever really that high - the major problems stem from miscommunication between the two central characters, which resolves quickly - which lends it realism, though not a lot of conflict. 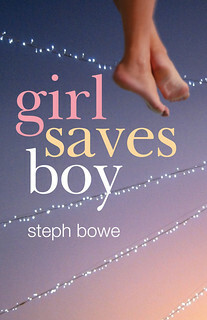 I'd recommend it for younger teenage readers (perhaps even readers in the later primary school years); while there's a very sweet romance story at the centre of this novel, it's very much secondary to the friendship that develops between the characters, both of whom read as being quite young. 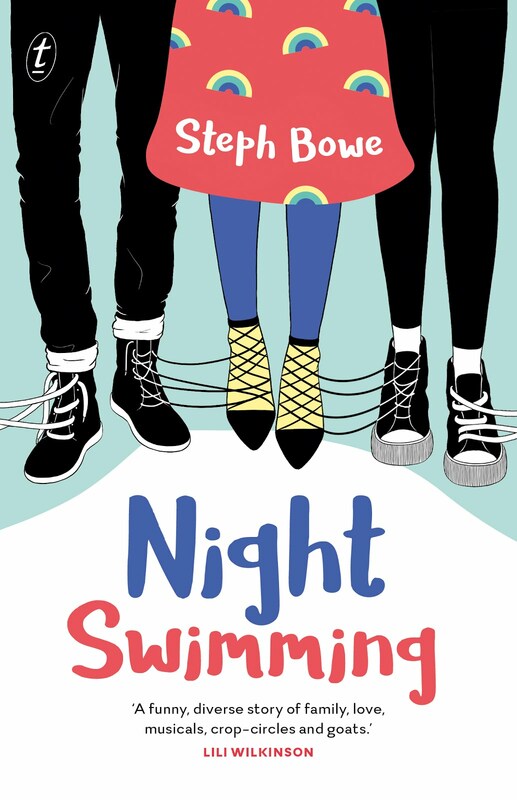 It's a nice, thoughtful, heart-warming novel, and it wonderfully reflects the real-world diversity of young people, which is something we always need more of in YA fiction. Talk Under Water on the publisher's website.